Ron started Ironwood Retirement Plan Consultants to better serve his growing retirement plan business. Ron is an Investment Advisory Representative of Global Retirement Partners, LLC, and has over 25 years in the financial services industry. Since 2000 he has focused on retirement plan consulting. Prior to forming Ironwood Retirement Plan Consultants Ron was a registered representative with Princor Financial Services, a company of the Principal Financial Group. He also served on the management team of the Principal Financial Group for 10 years. During that time he hired, trained and supervised new agents in the Bakersfield office. Ron earned his Chartered Financial Consultant from the American College of Bryn Mawr, Pennsylvania. He also holds a MS degree in Soil Genesis from Michigan State University and a BS in Forest Management from Michigan Technological University. 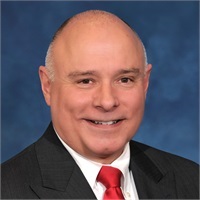 He is a past president of the National Association of Insurance and Financial Advisors and the Estate Planning Council, both of Bakersfield, CA. He is an active member of the American Society of Pension Professionals & Actuaries and the South Bakersfield Kiwanis Club. Ron and Mary have been married since 1977 and have 3 children.